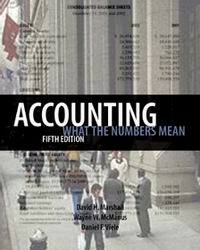 Accounting: What the Numbers Mean our textbook - for updates, expanded coverage of selected topics, links to interesting financial reporting examples and downloadable problem materials in Excel format. INS Imigration and Naturalization Service. Federal Trade Commission FTC - Robinson-Patman Act.